Your jar is a precious idea! I love Doodlebug because the colors are so vibrant and everything coordinates! I follow Doodlebug on Facebook. I love Doodlebug for your bright, fun colors and designs that work so well with most anything I create! Thanks so much for all the inspiration and for the chance to win some Doodlebug goodies! I love all of the bright, fun products you always have for us to play with!! I love Doodlebug because it is fun, vibrant and perfect! I follow on Facebook and Pinterest only. I have no Instagram acct. I follow you on Facebook (as Ruth Suttie Gauss - it's how I knew to come over today;-)! I already follow on Pinterest (as meredeena). I shared on Facebook (as Ruth Suttie Gauss). Such a cute cute jar! Love it. I love Doodlebug products because they coordinate so well, the colors are spectacular and can be used across all the lines. What's not to love about Doodlebug... everything always screams "super cute"! The reason why I love Doodlebug is because of its colorful and happy designs, which complement perfectly my style of crafting! Doodlebug products are also of great quality!!! Love them all the way!!! I follow Doodlebug on pinterest!!! And I love it!!! I follow Doodlebug on Face Book!!! I follow Doodlebug on Instagram!!! I love Doodlebug because of the bright happy colors and patterns. Love everything Doodlebug. Love how all of the colors match!! I shared this post with my friends at Facebook! Thanks for the chance to win fabulous products!!! This is a great idea and a beautiful project! I love Doodlebug's bright, clean colors and all the amazing embellishments that go with everything! The vivid colors and brights of the sequins are the best part of my pages. It would be a priviledge. I follow on FB all the time. Shared also. I like doodlebug for the quality, has not changed in years! It's a go to when looking for dots! I commented on here! I follow on Facebook! I shared the post! I love Doodlebug!!!!!! I love that Doodlebug is always bright and whimsical. I follow Doodlebug on Facebook! I also follow Doodlebug on Instagram. I love Doodlebug because your designs are so bright and cheerful!! I follow Doodlebug Designs on Pinterest! I shared this giveaway on Pinterest under my album titled GIVEAWAYS. I follow you on FB. Glad that I do, too. I love the papers. The Patriot Parade is so bright and colorful. Thanks for the great instructions on making the jar. It is a great project. I love Doodlebug because all of your products make me happy! I love the fun prints and bright colors! Thanks! I love all the colorful products you make! I love Doodlebug because of the HAPPY, fun colors! It's always so adorable! I love Doodlebug because of their wonderful colors and their ute cute products!! I love your classic colors!!!! I follow on facebook. Love the wonderful ideas and great quality. I love Doodlebugs great colors and the cardstock and basics. I always have DB in my scrap stash...it goes with everything! Doodlebug has the happiest colors around - perfect for my rainbow loving self! This is just beautiful! I love that gorgeous vellum! Doodlebug is always a favorite... fabulous colors and prints! I love Doodlebug for the bright colours and the coordinating ranges. I just love DoodleBug's cute designs and fun colors. I love the rich bright colors of Doodlebug and their unique products. I follow them on Pinterest. I love the vellum with dots. I also like your papers. I love Doodlebug because all of your collections are bright, fun and easy to craft with! I LOVE Doodlebug Design because of the bright colors, and cute and clever designs. I would love someday to have lil' Doodlebug pay me a visit in my craft room. I shared this post with my FB friends! I love Doodlebugs bright colours! This is so cute Shellye! I like Doodlebug because their designs & colors combine to ALWAYS make cheerful products! I liked Doodlebug on FB! Super, super cute and such a fun, fantastic idea!! Definitely want to give this a go - and this will be fun to create with my much loved Doodlebug Products!! I love them because the colors are bright, the icons are as cute as all get-out!! and because everything coordinates well together!! I am definitely a follower on Pinterest!! I am full fledged liker on facebook!! I'm now following your Sprinkles Vellum board on Pinterest. I definitely shared this with friends on facebook!!! I love the layouts from Doodlebug, they always seem to be bright and appealing. I already "LOVE" Doodlebug on Facebook. I already follow you on Facebook, just added Pinterest too! I love Doodlebug designs and colours and I'd love to get my hands on some of that polka dot Vellum! Thanks for the chance to win! As for the TOTALLY AWESOME "vellum & sequins giveaway", all I can say is WOW!!! I have been TOTALLY INSPIRED by the Sprinkles vellum projects and the sequins projects being shared by the DDT over recent weeks, ranging from the BEAUTIFUL & FUN to the EXCITING & ADVENTUROUS. I LOVE EVERYTHING Doodlebug, the colours are SO HAPPY and I LOVE how everything works so well together. Being able to mix & match means that I never have any odd left overs too. My FB name is Tracy Moloney. I already follow you on Pinterest and have a board filled with Doodlebug Design Delights that inspire. My Pinterest name is Tracy Moloney. I like the bright colors. Your glittery paper is divine and your die cuts always make me happy. I love doodlebug because of the playfulness of colors, patterns etc. it makes me excited to just look at it! I love love love all of your products! I love Doodlebug because everything matches! And the lovely colors and designs. I love Doodlebug because of its happy colors. I love how Doodlebug always makes me smile! I love beautiful paper! and vellum is the frosting that tops them all! I've enjoyed seeing all the posts this month with Doodlebug's beautiful dotted vellum. I must add some to my collection and make some of those really fun projects! I have loved this week's post with the vellum! It's been a while since I used any but these posts have got me inspired and I want those cute polkadots!! I like you on facebook and will share with my friends! Have been enjoying all the vellum posts. Great to see it back better than ever. I love all the bright and cheery colors of Doodlebug products! I love the colours in Doodlebug collections and the fun and whimsy feel you can count on! Just adorable! I no longer have an LSS in my city :( and have been longing to get my crafty hands on the vellum and sequins and have not been able to ... Thank you so much for the chance to win!!! I love that your colors from five years ago still match and that your collections are so bright and cheerful. I love Doodlebug because they have cute designs and are bright and colourful! I really like Doodlebug because of the bright colors and fresh designs. Iam always drawn to Doodlebugs products as they match from one line to the next. I love the new Vellms and Sequins, awesome. i shared a link on FB. i love Doodlebug.i love the colors you choose for your produce that make our projects look amazing. Doodle bug has the best characters and the best colors. Your paper and stickers are always so stinking cute. Wish I was rich so I could buy it all. I love the color of the sequence to, my only conplant is that note nought stores carry your product, I wish the big stores carried doodlebug. Like Joann's and Michael's other than that I love love love you guys keep up the great work. When I first saw your papers I thought - what a happy design. 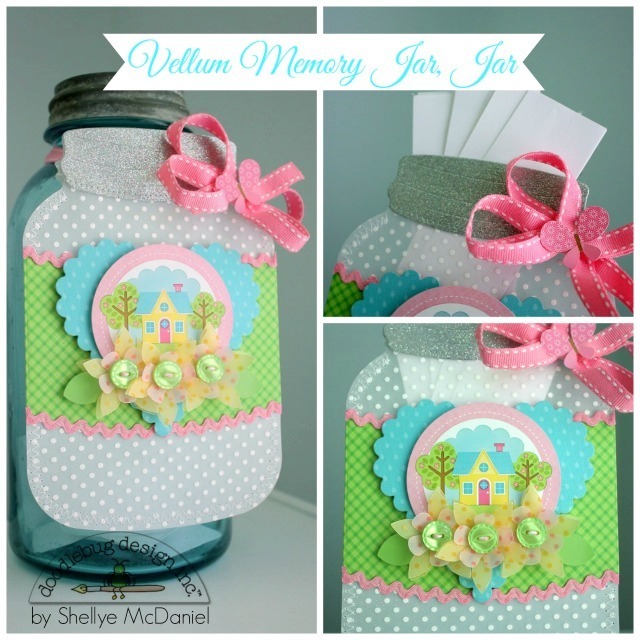 I love bright colors and cute projects you show here on your blog. I love all of the bright and colorful products that doodlebug offers. I also love the huge variety of products that are available. Thank you for the awesome giveaway. I love all the products that Doodlebug offers and esp. love the bright happy colours and patterns. Love the color combos and designs. Thanks for the great ongoing inspiration. I love the endless bright colours!!! I follow on fb & pinterest!!! Love the coordinating colors used as a base for each line. I love the bright colors and all the variety of design. Doodlebug products just make me happy!